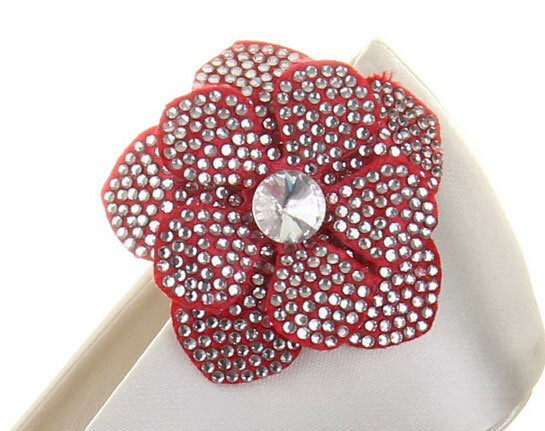 A pair of diamante encrusted flower's with twinkling centre's and made in our fully dyeable satin. Available in ivory in all boutiques. Coloured to order.